Kerala, the southernmost state in India, has many names. The locals call their land “God’s Own Country.” After crowded, dusty Mumbai, Kerala indeed seems like a paradise to me, a land of lacy, cantilevered Chinese fishing nets, misty lagoons and lakes, verdant rice paddies, tea and cardamom plantations, white temples and churches. Even Malayalam, the most widespread language in the region, sounds unusual to me—mellifluous and nasal, fast-paced and caressing. While I can grasp the rudiments of Hindi and Marathi, Malayalam is completely new to my ears. To be confronted with something so exotic and unusual after what I thought was a good introduction to India over the course of my numerous trips underscores the richness of discoveries this country holds. As my stay in Kerala unfolds, I find that not only are its sounds completely new to me, but also its scents, tastes, and sights. Just like everywhere in India, it is a kaleidoscope of sensory impressions. Divinity has many expressions in “God’s Own Country.” The moment we land in Kerala’s capital, Thiruvananthapuram (which the British used to abbreviate as Trivandrum), I am struck by the unusual diversity, even by Indian standards. Although more than 50% of the residents follow Hinduism, the Muslim and Christian communities are vibrant, reflecting Kerala’s important role as a trading port. The city of Kochi is also home to the oldest Jewish synagogue in India (1568), a splendid jewel box-like building decorated with Belgian glass chandeliers and Chinese hand-painted tiles. For the first couple of nights, I could not fall asleep—the songs at Hindu temples lasted deep into the night, then the call to prayer sounded from the mosque nearby, and finally, the Syrian Orthodox church rang its bells calling the parishioners to the morning mass. The scents of rose oil and oud blend with myrrh and frankincense, the cross is painted on top of the lotus flower and the marigold garlands are just as likely to be given to the goddess Durga as they are to the Virgin Mary. The ancient travelers called Kerala “The Mountain Country.” Kerala wraps around the south-western coast of India like a hilly ribbon, one edge of which falls into the Arabian Sea, while the other intertwines with the borders of neighboring states, Karnataka and Tamil Nadu. 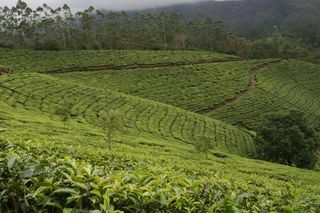 The picturesque hill stations on the Western Ghats are surrounded by tea plantations. While the temperature in Kochi was around 90F in January, Munnar greeted us with a comfortable 70F. It is a perfect place to spend a couple of nights exploring the surrounding countryside and the impressive national parks. The foggy hilltops are draped in verdant foliage, and a light, bitter green scent hangs in the air near the tea processing plants. Kerala is also known as “the Red State,” for the communist hue of its government. In 1957 it became the first region where the Communist Party of India won an overwhelming majority. It still rules the state in coalition with other left parties. While the wide ranging land redistribution introduced by the communists and various social welfare programs has not created a perfect socialist state, the investment in social capital has paid off handsomely. The literacy rate is the highest out of all states—94% vis-à-vis 74% for the Indian average according to the 2011 Census. The desperate poverty and slums that shock Westerners in India are almost absent. Of course, the communist programs alone may not be the sole reason for these achievements, but the progressive stance of the government when it comes to education and social capital development is impressive nonetheless. The Venice of the East is a moniker Kerala received from visitors who were enchanted by its labyrinthine of backwaters, a network of interconnected canals, estuaries and inlets, running parallel to the Arabian Sea coast. A favorite tourist activity among both European and Indian visitors is to hire a boat for an overnight stay or simply for an afternoon. As the boat leaves Kochi, heading towards Alappuzha, one finds oneself in an enchanted world of coconut palm fringed rivers, lush rice paddies and vine covered bridges. Tiny villages dot the canals, and just like in the Venice of olden times, life is closely linked with the water, the main mode of transportation. The aroma of mustard seeds and curry leaves begins to waft in the air as women prepare breakfast in the open air kitchens; the scent of temple incense competes with that of brackish water and the salty sea air adds a poignant, fresh tinge to this mélange. “Kera” is a Malayalam word for coconut. Although this etymology is disputed by some modern scholars, Kerala is undoubtedly a land of coconuts. Coconut palm is as omnipresent as an olive tree in the Mediterranean. The milky sweetness of coconut is just as likely to be found in savory dishes as in desserts. In contrast to the Northern states, the palette of Kerala’s cuisine uses very few spices. The lemony ginger, green curry leaves, tart unripe mangoes, bitter mustard seeds and sweet coconut provide the main flavors. The mild heat of vegetable and seafood dishes comes mostly from the resinous pungency of native black pepper rather than the bold heat of chili peppers that were brought to India at the end of the 15th century by the Portuguese. Rice is the main staple, but it is not the dry, perfumed basmati that one would find on their plate. The pink tinted local rice, rosematta, is a medium grain variety, with a pleasant milky taste. The rice is also made into a dazzling variety of dishes—plump dumplings, steamed vermicelli, crisp pancakes and tender flatbreads. Just like in other aspects of Kerala’s culture, I find more overlaps in its cuisine with Southeast Asia, rather than with the Indian north. As I wrap up my olfactive painting of Kerala, one scent stands out in particular, the fragrance of bananas. Never before in my life have I seen such an amazing diversity of bananas as what I discovered in South India. A banana tree is a ubiquitous green presence along the roads and river banks, its floppy, yellowing leaves swaying in the breeze. The markets have whole stalls devoted to bananas, some of which are as tiny as my little finger, while others are as big as an elephant tusk. 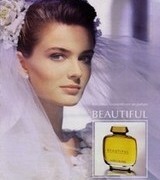 This scent of the banana market is what I remember the most—fresh and floral, with a hint of dark caramel. For a moment its sweetness seems to overpower even the smells of spices, rotting vegetable peelings, incense sticks, wilting marigolds and the briny sea breeze. Suzanna: What a delightful read, and so evocative that one can almost smell the banana market. But somehow I had missed that post. 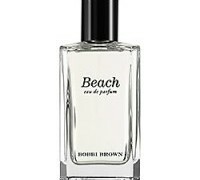 Still, there is always space for more thoughts on perfume and travels. To be able to smell the elsewhere in our daily steps is quite extraordinary. Victoria: Oh, I bet it was a great time to visit for mangoes. The first time I went to India it was right before the monsoon season, and the mangoes were amazing. They made up for sweltering heat and humidity. Victoria: I think that it would be a good first time Indian destination. There is certainly plenty to do in the area and there are also some beautiful temples. The nature is what I found incredible about Kerala–the mountains, the parks where you can see elephants in nature, etc. 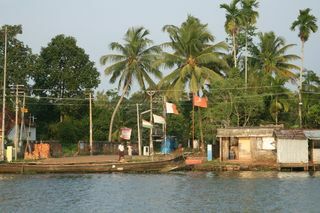 The backwaters alone are worth the trip. We stayed on the boat overnight, and it was wonderful. Check out Anthony Bourdain’s No Reservations in Kerala. 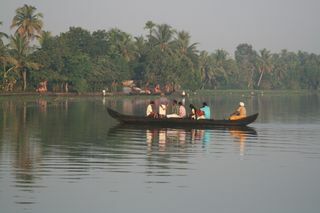 He actually follows pretty much the same route in backwaters as we did. Victoria: I have a difficult time picking a favorite region in India, but Kerala must be at the top. Lavanya: very nice post, V! Victoria: The way you put it is great–"